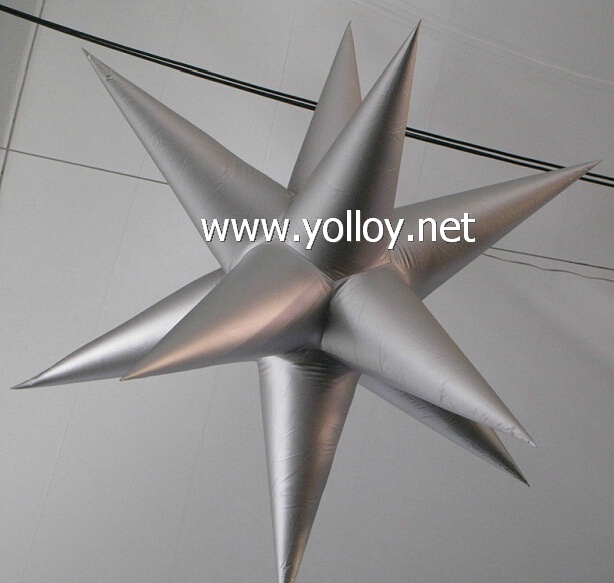 The silver inflatable star is designed for stage, party, market or other large events. It is portable and easy storage. It's effect will be fantastic for the decoration. Custom making is available, such as bespoke color, size and so on. We can design different shape of lampshade according to your requirement. Fan: low noise, UL certificated. Payment terms: TT, westen union or money gram. We also accept paypal if the payment within US$1000. And when the payment is over US$1000 at a time, you can pay 50% deposit and 50% payment before shipping. We are honest and friendly seller, we will offer you the best severice and price. If you have any quesiton, please feel free to ask us!! !